This ring is perfect for everyday wear. 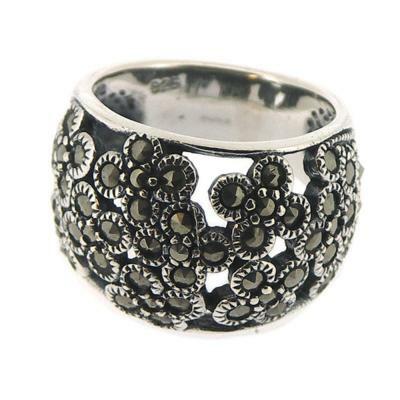 With a sweet floral design, this ring will catch everyone's eye. Big and bold, wear this with any outfit as it will compliment it perfectly. This ring measures at height 20mm, Depth 2mm. All measurements are approximate and measured at widest/longest point. The ring is crafted in Sterling Silver.